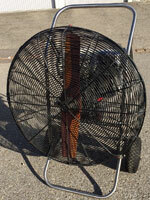 5.0 HP inflation fan, stainless steel flip wheel frame, wooden propeller. In very good condition. 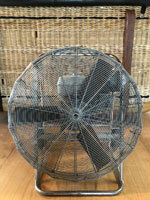 5.5 HP inflation fan, Schroeder, stainless steel flip wheel frame, in good condition. 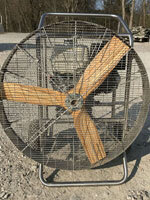 8.0 HP inflation fan, stainless steel flip wheel frame, wooden propeller. In good condition. 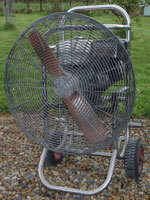 9.0 HP inflation fan, built 2008, stainless steel flip wheel frame, carbon fiber 3-blade propeller. Oil changed and new silent blocks mounted. 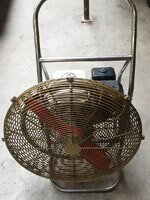 13.0 HP inflation fan, Honda engine, stainless steel flip wheel frame, wooden 3-blade propeller, in as new condition.